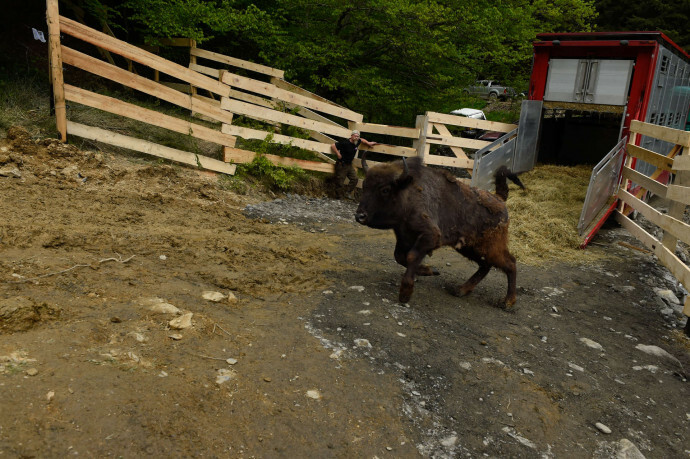 Today, 17 European bison were released into the wild in Romania’s Southern Carpathian Mountains. 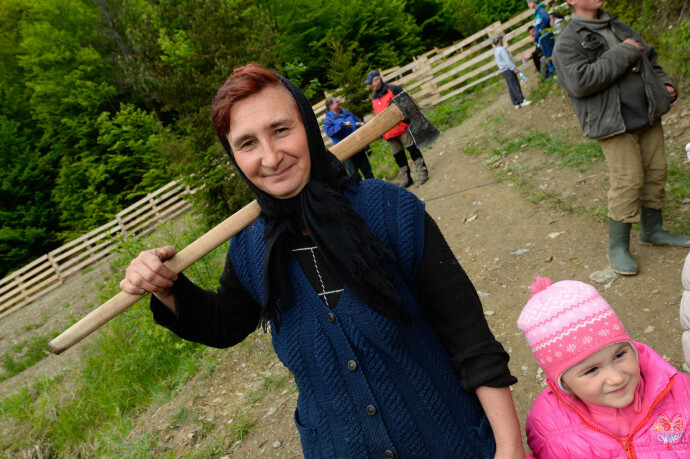 They were invited here by the people of the Municipality of Armeniș, who have set aside a large part of their communal land for wildlife. The animals came from wildlife parks and breeding stations across Europe – from Sweden in the north to central Italy. 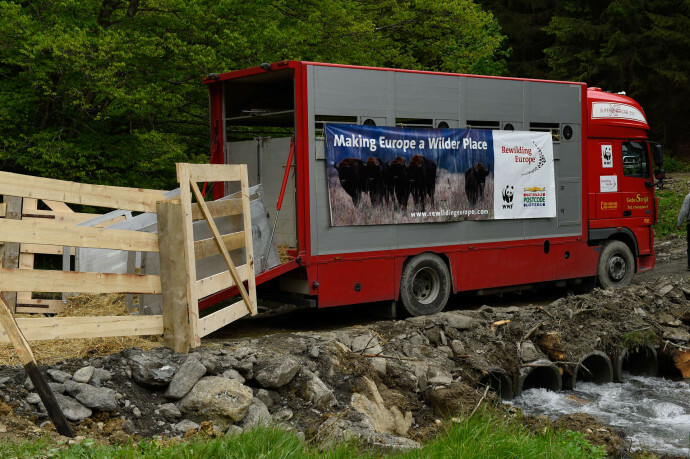 In all a complicated logistical operation, arranged by Rewilding Europe and its partner WWF Romania. 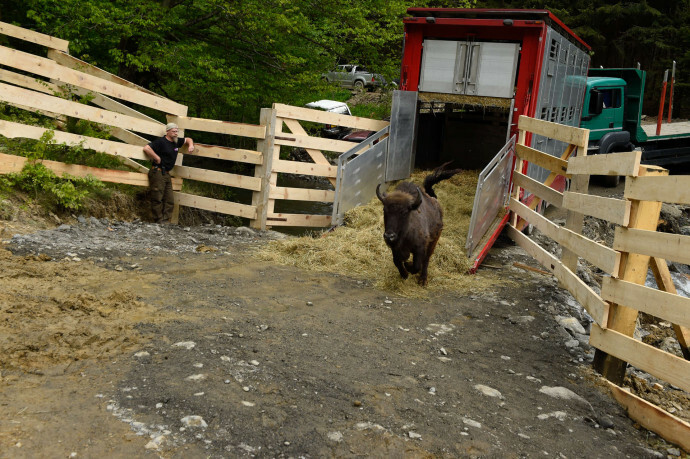 The largest-ever bison reintroduction in Europe. 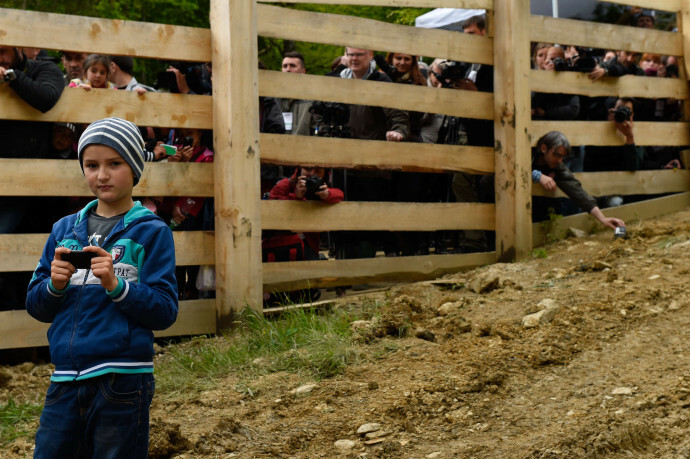 More than 250 people gathered from far afield to take part in this huge wildlife release event, far up a muddy forest track in the Tarcu mountains. 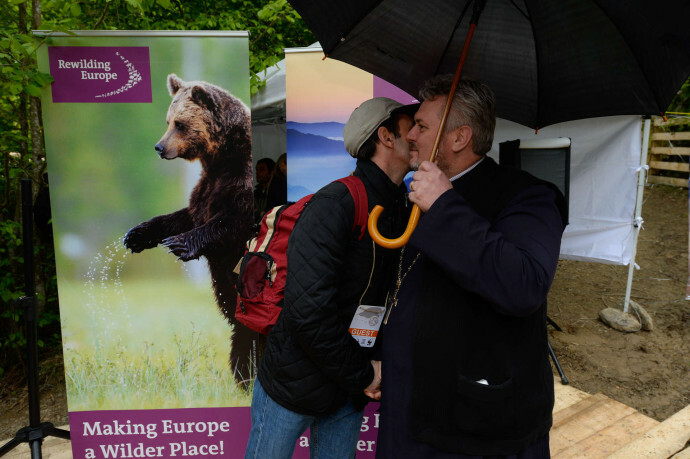 Guests included the Deputy Minister of Environment (Ms Anna Juganaru) leaders from the state forestry company ROMSILVA, from the hunting organisations and from media from across the globe. 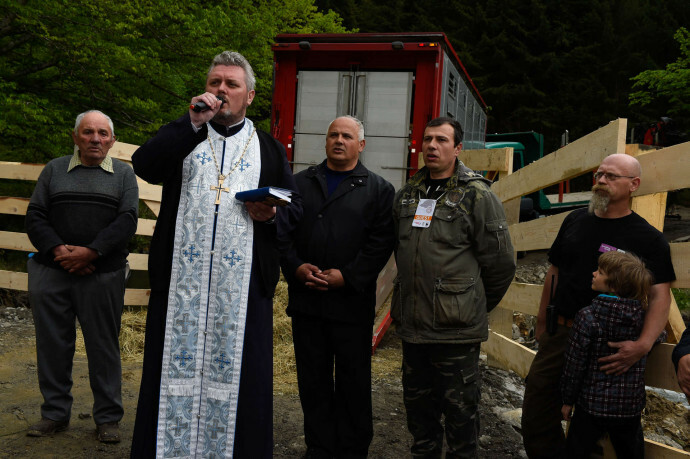 They were joined by forest workers and farmers from Armenis village, led by their village priest and their Mayor Petru Vela. 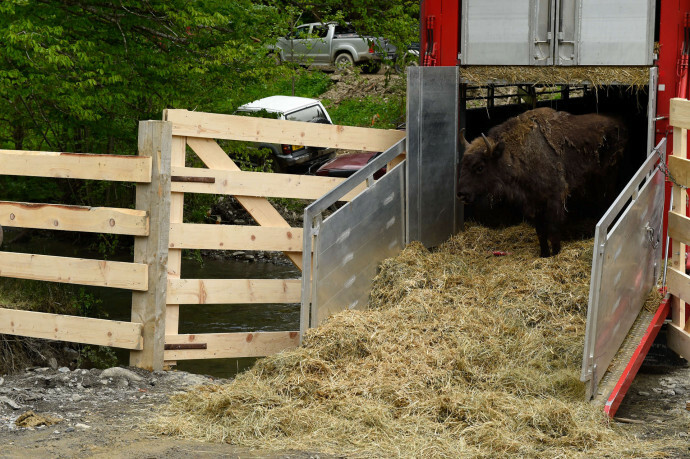 With this release event, a completely new bison population is being established in an area that within ten years is planned to have a population of about 500 animals. 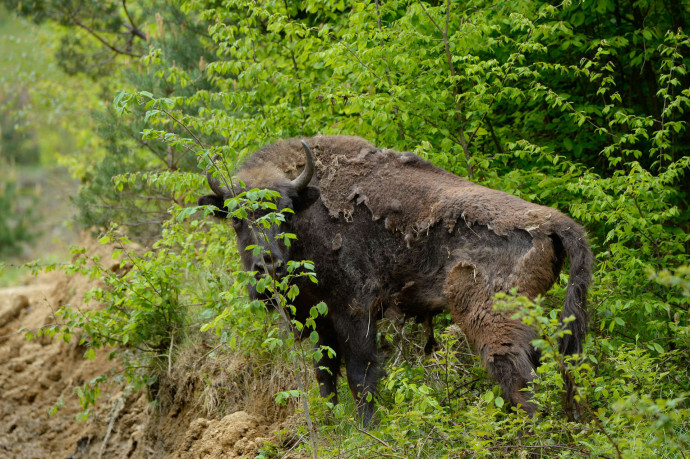 What is the European bison? 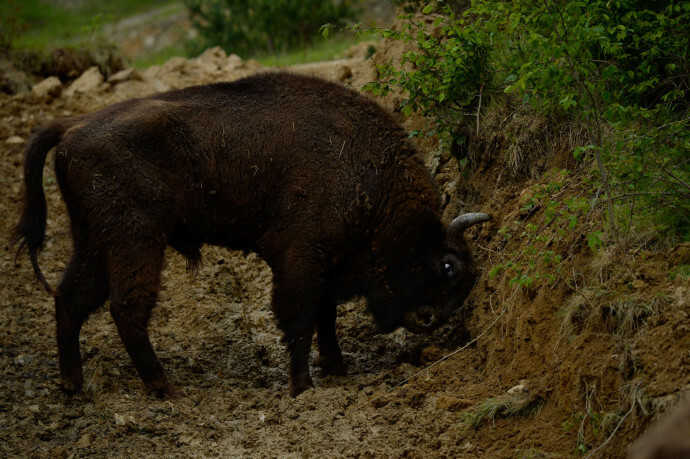 The European bison or Wisent, also called “The King of the Forest”, is the continent’s largest wild land mammal. Once, it roamed all across Europe, except possibly Northern Scandinavia and the southern parts of the Iberian peninsula and Italy. It was hunted to extinction, until it finally died out in the wild in 1927, with only 54 individuals remaining, all in captivity. 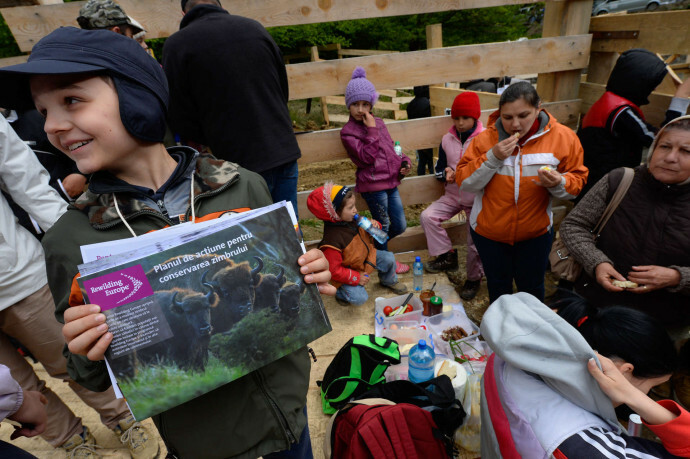 Since then, a slow but successful breeding and reintroduction campaign has been carried out, to a number of sites in so far mainly Central and Eastern Europe. 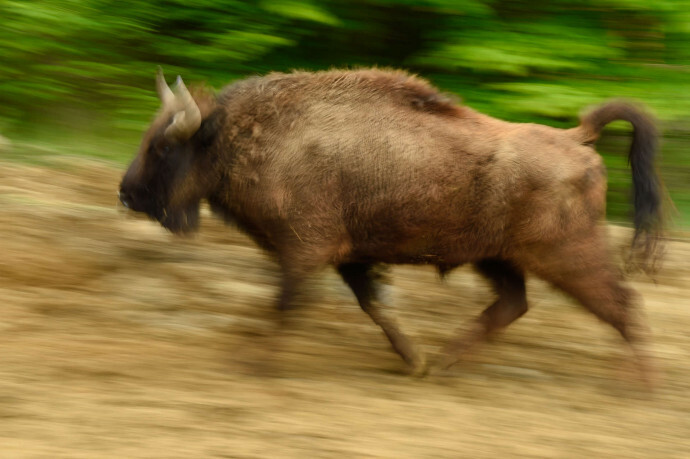 The global population of the European bison is now said to be 5,046 (Jan 2014). Of these, only some 3,230 live in free or semi-free herds. This makes it more rare than the black rhino. Why bring back this species? It is of great importance for the natural functioning of many of our ecosystems. Natural grazing and browsing by large herbivores is one of the key ecological factors in the open and half-open landscapes, upon which a large part of Europe’s biodiversity is dependent. During millennia, that job was carried out by a set of wild herbivores. Later, mankind exchanged these for their domestic versions, but now, for different reasons, over vast regions these are now disappearing from the land. 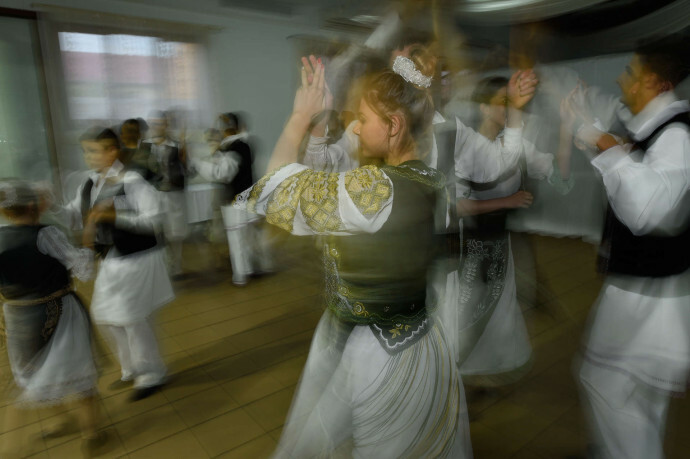 It is high time to bring back the original set of species, of which the bison is a crucial part. This has been one of the core areas for bison since ages back. However, it was finally made extinct here in 1762. 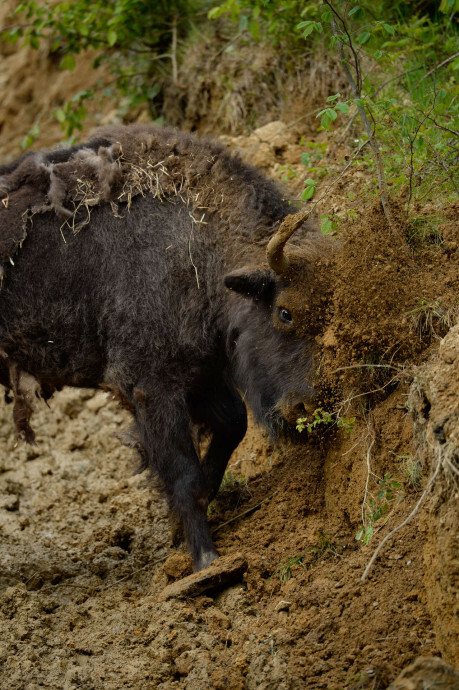 The Carpathian mountains have been identified as a priority region for improving the long term survival of the bison, since there is suitable habitat and that is relatively well connected. 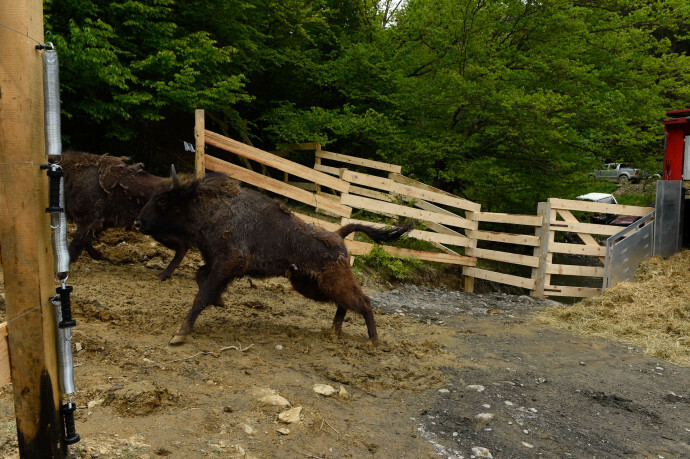 The place where the animals are released is in the vast and wild Tarcu Mountains Natura 2000 site, with a surface of some 59,000 hectares. 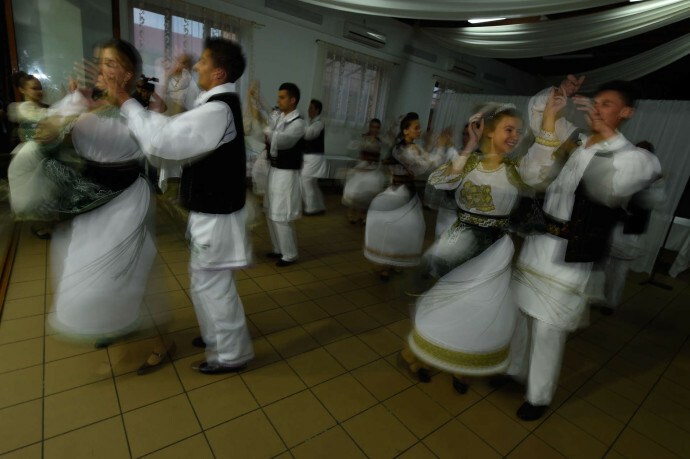 What is unique in the approach here? 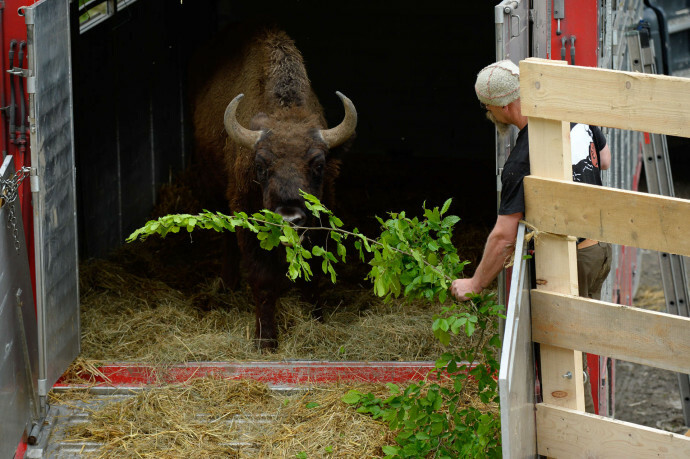 Once released into the wild, these bison will not be fed or handled, but treated completely like the wild animals they are, so that they become a full part of their ecosystem and the natural processes there. 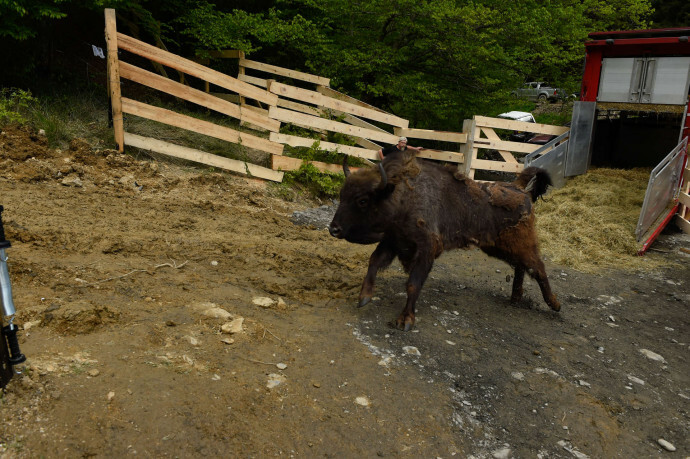 The aim is to build a new, long-term viable, free roaming population of European bison in the Tarcu Mountains. Bringing in hundreds of animals over a 10-year period, with the intermediate goal to reach around 500 animals by 2024. 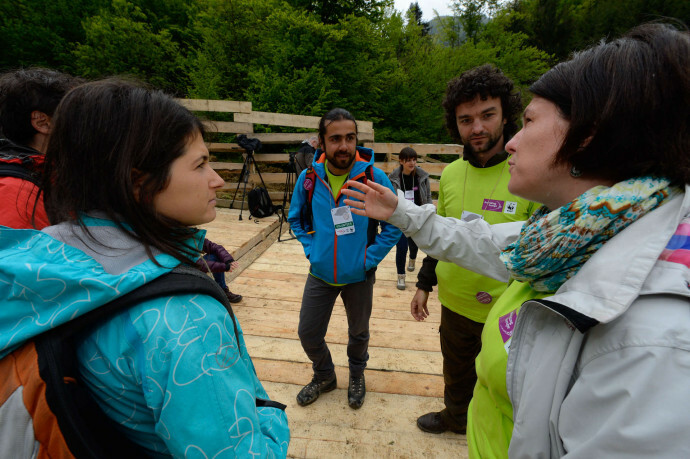 Rewilding Europe will work closely with the University of Timisoara to monitor and study the bison’s life here. 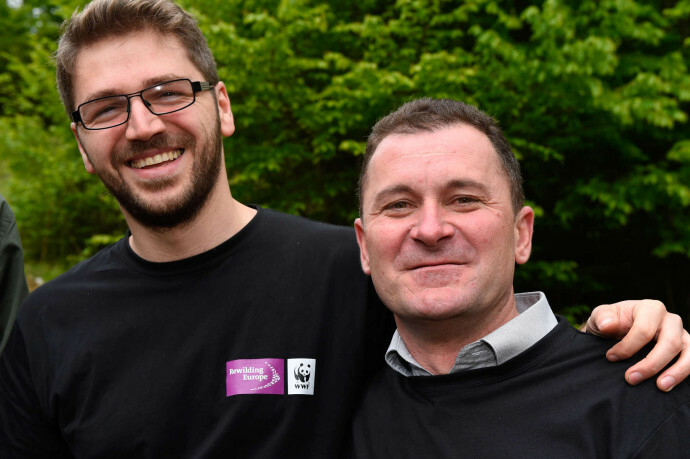 – “Together with the Municipal council and the people here, I really appreciate this initiative and the efforts by its rewilding experts”, says Petru Vale, Mayor of the Armenis Municipality.“The collaboration with Rewilding Europe and WWF Romania has been great from the very beginning. I am convinced the bison reintroduction will shape a new image of our area, develop a new economy and bring visitors here. 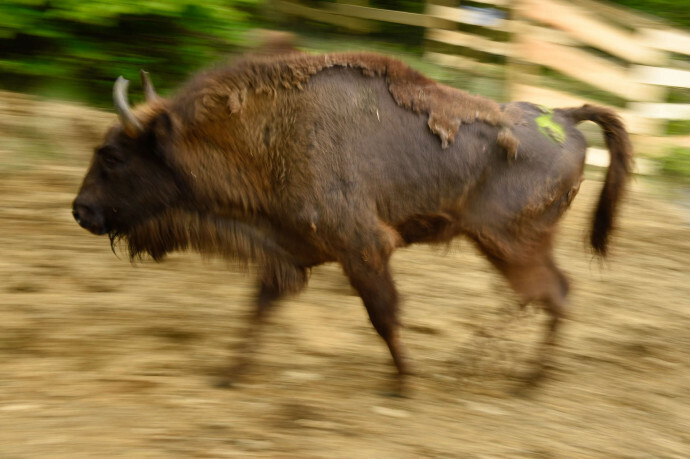 We see the bison as a great opportunity for a new future of our region”. 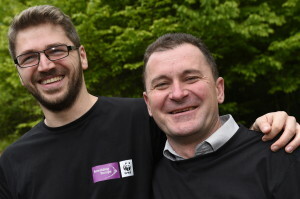 – “This is a very important day because usually we are used to losing species but today we gaining a species in this area,” says Magor Csibi, CEO of WWF-Romania. 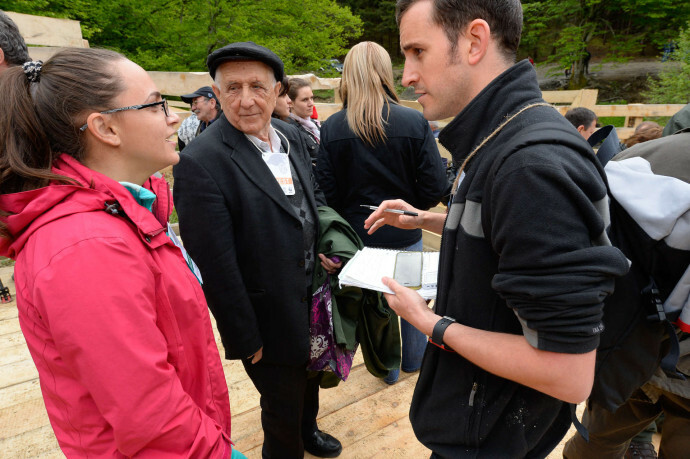 “Anyone of us who work in the nature conservation field dreams about such a moment. First, we are so used to hearing bad news about animals, plants, forests that disappear every day. Today we witness the return of a species. Secondly- if for a long while it was thought that the solution to protect nature stands in keeping people away from it, today we see how people and nature have a chance together“. Who helped make it happen? 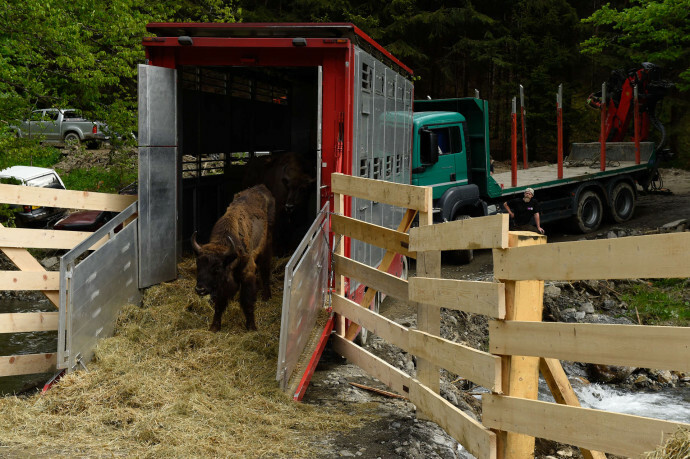 The bison that are being brought to here come from sources in several European countries: Avesta Visentpark and Kolmårdens Djurpark in Sweden, Springe, Hardehausen and Hirschfeld in Germany, Parco Natura Viva in Italy, Han-sur-Lesse in Belgium and Hateg in Romania. 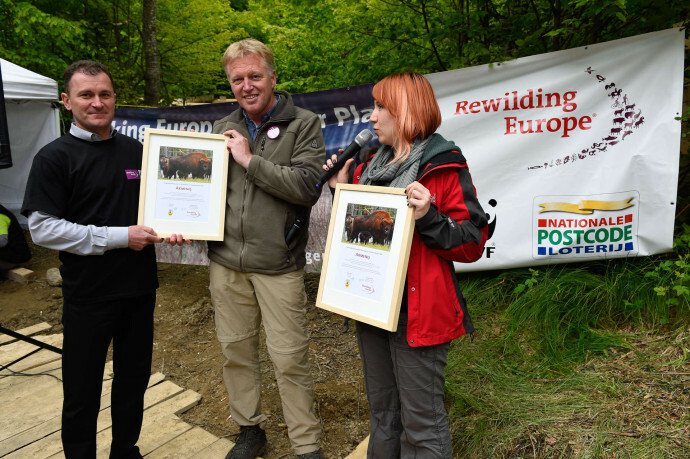 The Dutch Postcode Lottery, The Swedish Postcode Lottery and the Liberty Wildlife Fund have provided the financial support which made this amazing bison reintroduction in the Southern Carpathians possible. 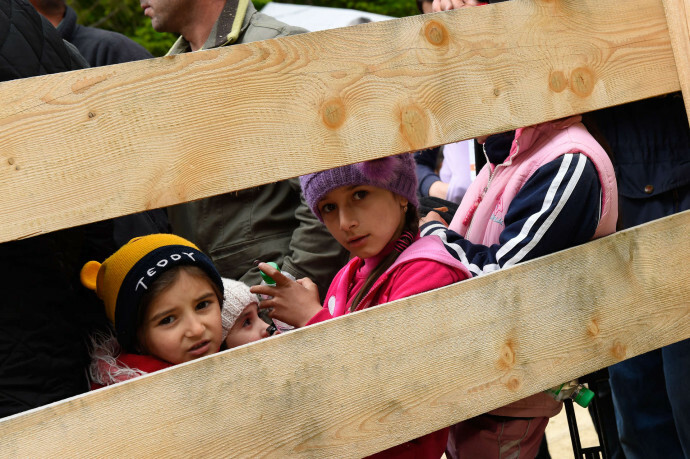 The Municipality of Armenis, in which the animals were released, has been instrumental and is extremely supportive. 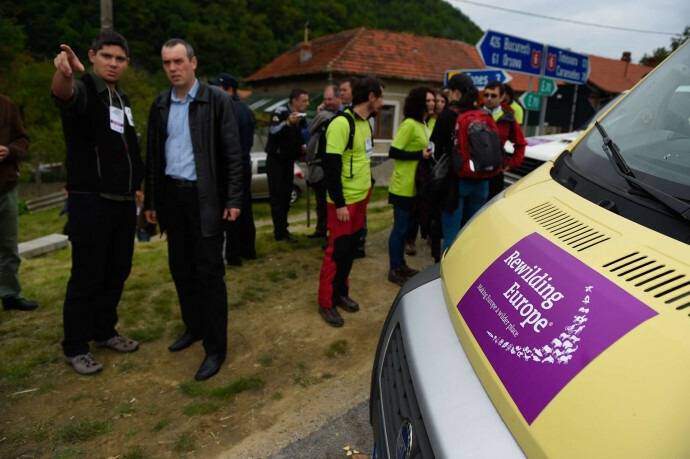 Five different (local, regional and state) authorities in Romania provided support and the legal permissions needed for the release. 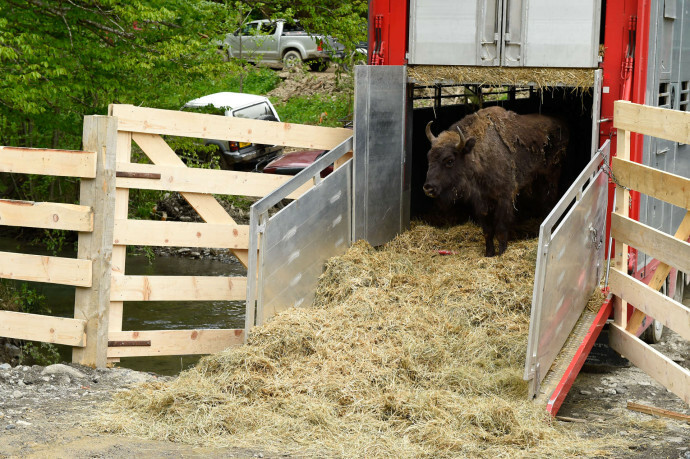 This bison reintroduction is just a start. 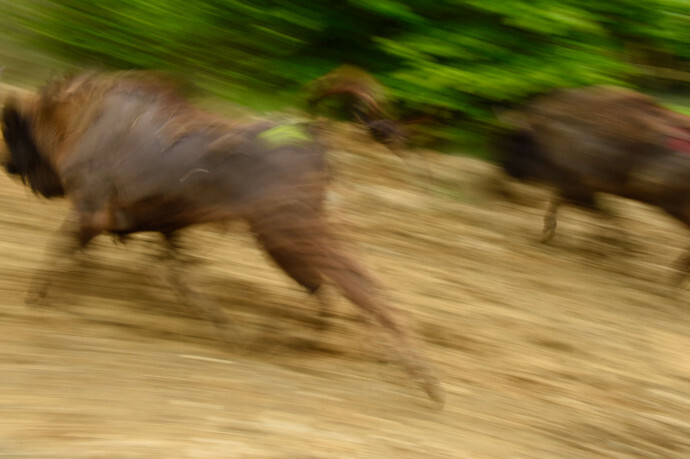 Locally hired people have already been trained to take the role of bison rangers and the first bison guides. 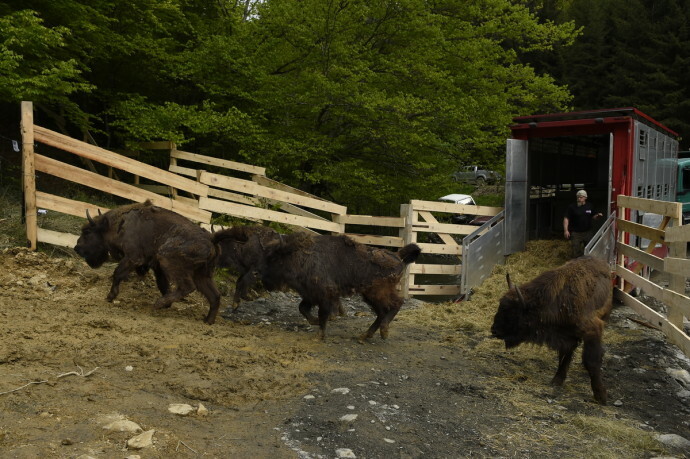 From the very beginning, even if at a start in acclimatisation and re-wilding zones, the bison will also serve as an important regional tourism attraction, to help bring business opportunities and jobs to the local community. 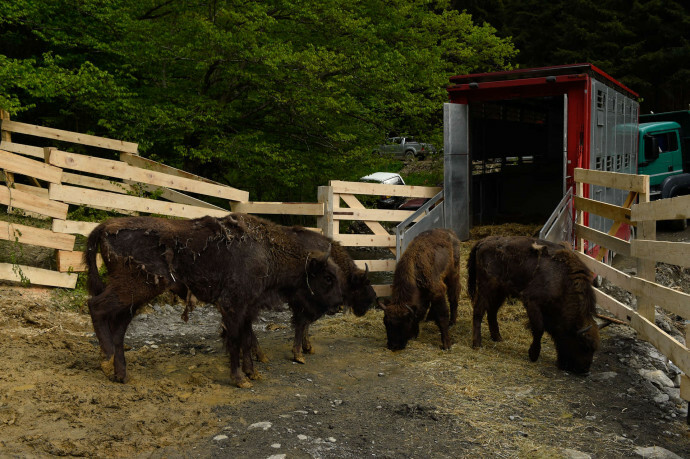 A Bison Visitor Centre will be established, from which several bison and nature related activities will be organised. Bison Safaris here will very soon be soon possible. 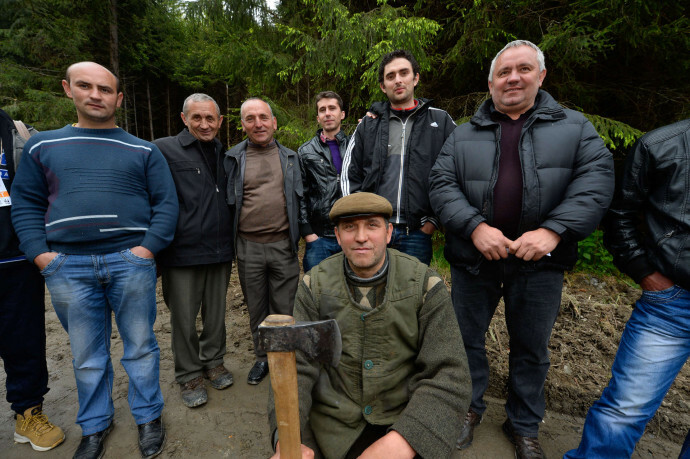 Rewilding Europe and WWF-Romania have been working very closely with the community here, the entrepreneurs, forestry services, hunting organisations and tourism organisations at a local, regional and national level. 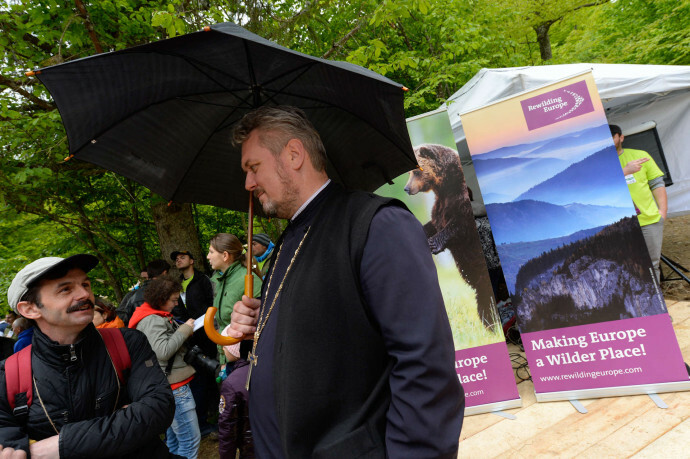 Among the next steps are: work on business development based on the values of the wild, like wildlife watching tourism, and efforts to halt poaching and poisoning, possibly bringing back the griffon vulture and creating “no-take zones”. 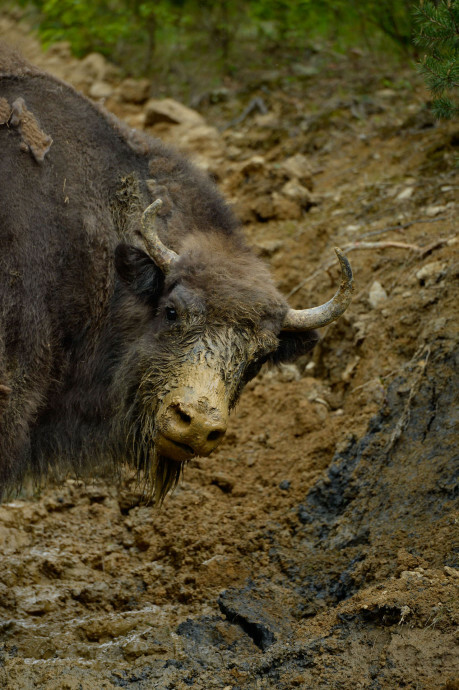 Rewilding Europe is working to try to establish in total at least three new populations of at least 100 individuals each, in other suitable rewilding areas across the continent. 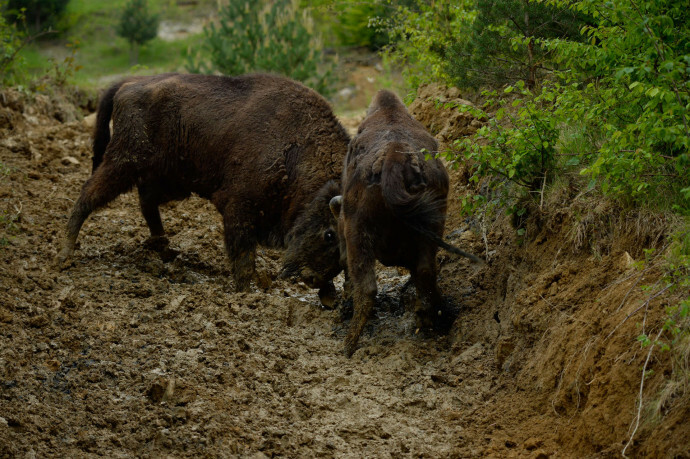 Part of Rewilding Europe’s strategy is to establish more efficient coordination between ‘supply’ and ‘demand’ for European bison by setting up the European Wildlife Bank.